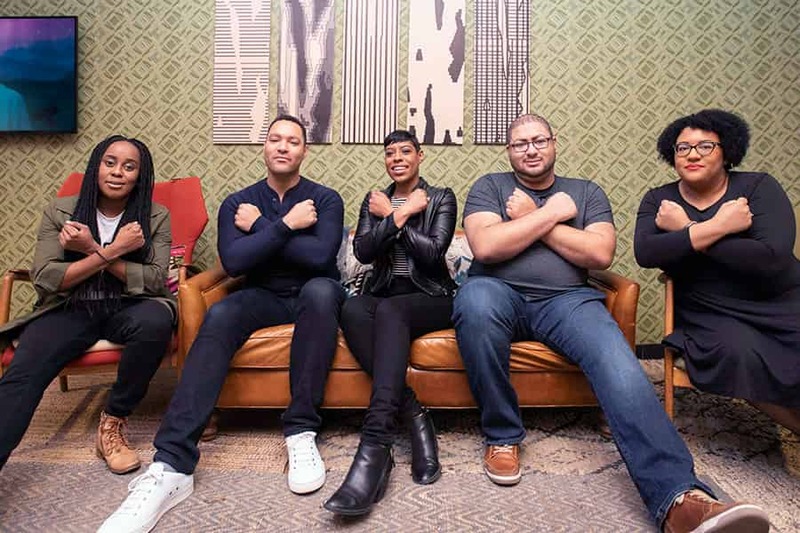 In an interview for their Essence Fest promo run (which was phenomenal this year) Richelieu Dennis mentioned something about the gigantic impact of Black Panther and how that success – while record and world breaking – didn’t necessarily translate over to our communities. BP was not your typical “Black movie” but it’s very apparent that when given the opportunity to express our true capabilities – not only do we succeed but we exceed expectations. How can we keep that same energy for the experiences that we curate? It prompted us to take a look at how our offline experiences are allowing our communities to have ownership in the cultural conversations that dominate our society. Carolyn Malachi once sang, “White America wants all my Black features, except for my blues – I’m an unwanted creature.” We live in a time where it’s becoming increasingly easier for corporations and brands to profit off of our culture without investing or nurturing in our talent, our ideas and our genius. 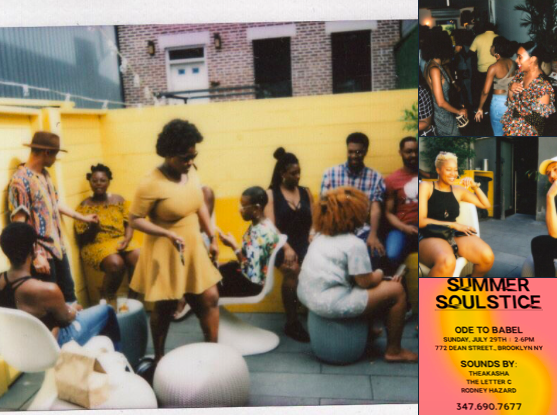 We had a pop up #blkcreatives Twitter chat with the teams behind WakandaCon, One MusicFest and The Culture LP to discuss how their experiences are changing the game. Your offline experiences are allowing our communities to have ownership in the cultural conversations that dominate our society. Why was it important to you to put together your (respective) experiences? Lisa Beasley, Producer & Media Relations of WakandaCon: It’s important for us to put togetherWakandaCon because oftentimes black nerds are portrayed as a bad thing and we want to celebrate our successes and our nerdy in the field of technology, gaming, and various platforms. Michael Tonge, Co-Founder of The Culture LP: Our team felt that a lot of what we needed was really “one person” away. So instead of leaning in on one specific niche, we decided it’d be valuable to forge a diverse offline community of creatives that could really be of service to one another. Oronike Odeleye, Festival Coordinator of ONE MusicFest: For me, full and complex representations of blackness are a way for us to express our self-determination; to say for ourselves who we are & where we’re going as a people. I invest fully in projects that allow our authentic voices to be heard and celebrated. J Carter, CEO and Founder of ONE MusicFest: I couldn’t find a open air festival that programmed music and culture the way my peers and I experience it on a daily basis. Black “customers” are often put in a box, but we are so multidimensional. Our music experience ranges from Sade to Migos. I wanted a festival that spoke to that. Black culture = popular culture. but we often don’t benefit as much as our counterparts from that influence, especially from an economic perspective. How can we change that? Oronike, ONE MusicFest: Maaaaaaan! We see this struggle every day in the amount of $, or lack thereof, that sponsors want to put into hip hip concerts that are run by black promoters. Same concept run by white folks = They love the culture, but wanna pay “others” to curate it. Lisa, WakandaCon: The creation of more spaces curated by POC and support from POC when those spaces are created! Mike, The CLP: We should stop prioritizing the mainstream and also be a bit more careful when sharing the sauce online. The barbershop/beauty salon conversations have migrated to social media and we need to realize we’re in “mixed company.” people are watching just to steal ideas. We’re in a space where we need to innovate rapidly but also get gully with trademarks and the cease and desist letters. Oronike, ONE MusicFest: I think we have to take a page from Issa Rae‘s handbook and network laterally. We have the resources in our circles to get stuff done. We have the know how. We have the authenticity. We just need structural support to help us better work and grow together. Mike, The CLP: Working across results in vertical movement for sure. It’s something we’ve seen within our own community. I think our partnership withRonald Draper is the best example of that. J, ONE MusicFest: OWNERSHIP and/or SUPPORT those who are pushing the culture forward. More specifically. Repurpose and redirect our economic prowess. African Americans spend more than $1.2 Trillion dollars a year. If we were more intentional with how we spend our money, we could collectively turn the tables. As black marketers and curators, what do you think the mainstream is missing when it comes to creating events for our demographic? J, ONE MusicFest: Trick question. We are the mainstream. “They” are just good at repackaging it. Mike, The CLP: Facts. I don’t think they’re actually MISSING anything. Because their goals are profits, not community. And in that regard they’re winning, for now. Both in my role as co-founder for the CLP but as a marketer for big brands and institutions a lot of times we’re simply NOT in the conversation. It’s like someone planning a birthday party for someone they’ve never met or hung out with. J, ONE MusicFest: I would love to see more “lifting as we climb” initiatives. People who are in a position of influence and power to help educate others walking in their footsteps. I.e. Master classes, conferences, mentorship etc. we have to begin pulling each other up…. faster! Lisa, WakandaCon: I think the mainstream is missing our voice. Too many times, people try to capitalize on what they they are the experiences of POC and horribly miss the mark. What’s missing is us! Oronike, ONE MusicFest: #1-100 Stop creating events for our demographic! Use those resources and privilege and connections to support POCs who are ALREADY doing that work. There are promoters in every city catering to their community who could really level up with some $ and mentorship. Mike, The CLP: Instead of trying to recreate what we’re already doing, be a resource be a brand sponsored co-working space. I feel like even black folks with $$ make this mistake.#blkcreatives especially when it comes to independent art projects. J, ONE MusicFest: No race of people has come so far in such a short amount of time. 150 years removes from shackles and today Hip Hop is the most influential genre of music in the world. “People fear what they can’t control” and no one can control our influence. We’ve had some major moments in music (cardi b, the carters), film (black panther) and tv (own tv, shonda’s new deals) this year. Are there any other events you’re looking forward to this year? J, ONE MusicFest: I’m ready to see more of this [the discussion happening]. Oronike, ONE MusicFest: ONE MUSICFEST, obviously (go@onemusicfest!) Finally seeing black people divest from#Rkelly (#MuteRKelly via@OffMuteRKelly) and any and everything from Issa Rae and Lena Waithe! Mike, The CLP: Honestly Afropunk +ONE MusicFest! What can audiences look forward to from your upcoming events and how can they support if they can’t attend? Mike, The CLP: I’m looking forward to our 6 year anniversary in collaboration with@culturalcrawl on Saturday, and@OdeToBabel Sunday. rsvp:http://launch.culturehotline.co .can’t make it? hit the cash apphttp://cash.me/$theCultureLP or pitch ideas:http://write.theclp.co as we’re revamping our blog. Oronike, ONE MusicFest: If you want to support ONE MusicFest but can’t attend, buy 10 of your#ATL homies a ticket!! Lol. But for real – spreading the word is invaluable. Retweet. Repost. Forward to a friend. It’s 2 days of unapologetic blackness, inclusivity, good vibes and great music. J, ONE MusicFest: What she said! Lisa, WakandaCon: So much! Firstly, whatever you’re a nerd about – there’s something that will be for you. So many community submitted panels rooted in cultural conversation that will be educational, informative, AND entertaining! Video gaming tournament, virtual reality for kids and adults, performances, workshops, and cosplay! Most importantly, a bunch of people who want to celebrate the contributions of black creatives in spaces we rarely are celebrated for! Also, our marketplace – so many black-owned businesses and black entrepreneurs will be vending and making money altogether. Get your tickets for WakandaCon (in Chicago August 3rd-5th), ONE MusicFest (in Atlanta September 8th-9th) and The Culture LP (year-round in NYC).